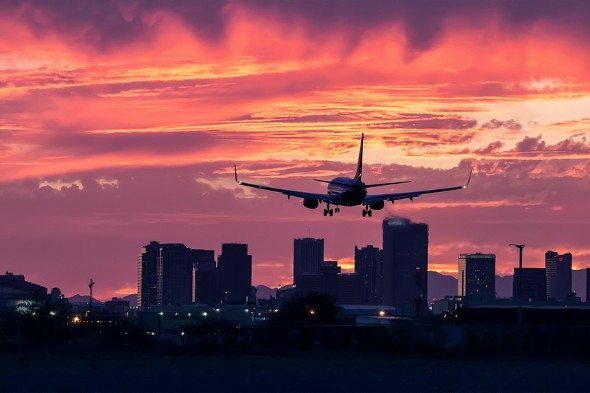 Phoenix consistently ranks in the top ten fastest-growing cities in the country. It’s a relatively affordable city, too, which makes it a great place to move to if you’re tired of a more expensive city, you want to leave a rural area or you just want more sunshine in your life. 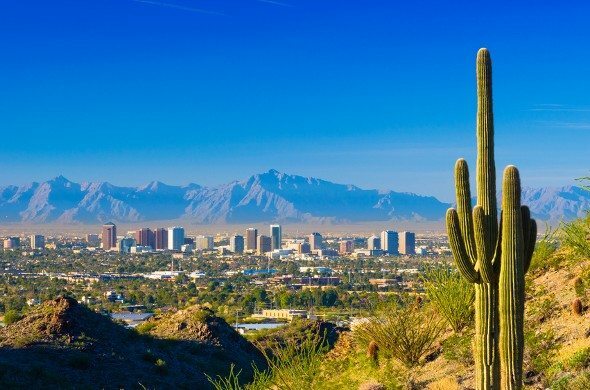 Here are 15 things to know before moving to Phoenix. 1. Phoenix has a thriving tech scene. Silicon Valley isn’t the only big valley in the tech world. 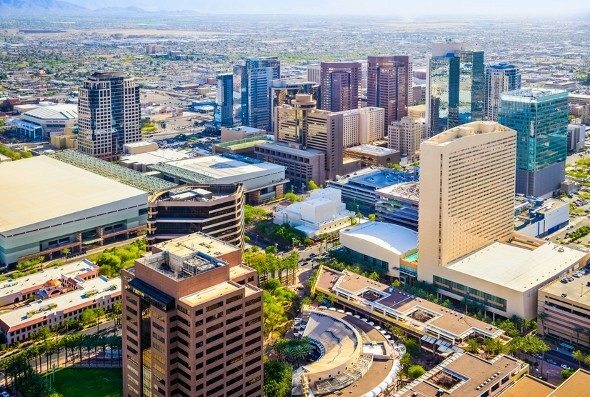 The Phoenix area, also known as the Valley of the Sun, is attracting plenty of tech start-ups, too. Phoenix’s economy used to be known for hardware companies, but more and more software and web developers are finding work in Phoenix these days. For big Silicon Valley companies that want to expand their operations, Phoenix is a natural choice. The city’s economy has benefited from the tech boom, and you could too after moving to Phoenix. 2. The baseball stadium is air-conditioned. You don’t have to worry about the sweltering heat ruining baseball season for you. The Arizona Diamondbacks stadium has a roof and air conditioning that keep it comfortable in the hottest months. 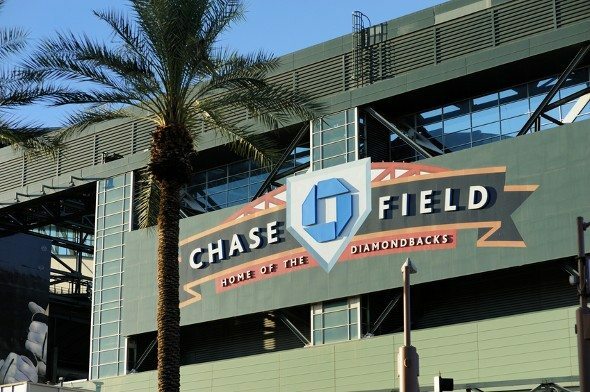 And if you can’t bear to miss outdoor baseball, you’re in prime position to catch spring training Cactus League games in Scottsdale and Peoria. 3. The Mexican food will blow your mind. It’s not Mexico, but Phoenix does boast some impressive and varied Mexican food. Of course, the city’s diverse population is a boon in many ways, not just to the restaurant scene. But if you’ve been missing good Mexican food, moving to Phoenix will be a serious relief. 4. Phoenix has impressive museums. If you think strip malls and urban sprawl when you think of Greater Phoenix, think again. The city’s arts and culture scene is impressive. Popular city museums include the Phoenix Art Museum, the Heard Museum and the Arizona Science Museum. 5. Look out for urban wildlife. Depending on your perspective, the urban wildlife in Phoenix is either perilous or a perk of living in Phoenix. 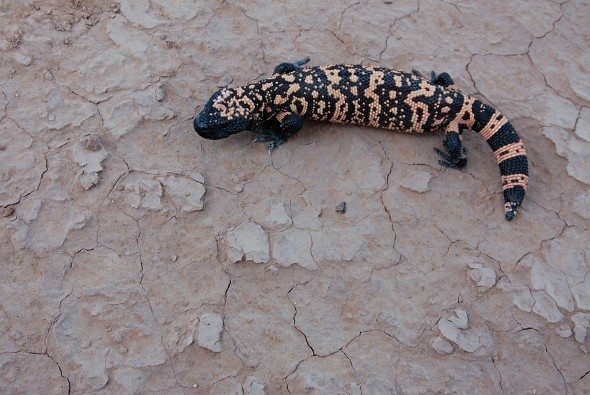 Coyotes, javelina, bobcats, snakes, lizards, toads, turtles and a range of birds all make life in Phoenix a little more exciting. If you’re a fan of nighttime walks, it’s probably a good idea to brush up on rattlesnake safety protocol before moving to Phoenix. 6. Don’t skip the Grand Canyon. It’s common for residents of a city to scorn its biggest tourist attractions. Plenty of New Yorkers have never been to the Empire State Building or the Statue of Liberty, for example. But if you’re moving to Phoenix, it’s worth visiting the Grand Canyon. It’ll be much cheaper to see the spectacular attraction from a base in Phoenix than from any other state, and you can combine your visit with a mini-break in Flagstaff. 7. The Grand Canyon isn’t the only outdoor attraction. OK, so you’ve done the Grand Canyon. You’re not done with the nature offerings. You can hit up the Echo Canyon Recreation Area for a hike, or head to Pima Canyon. Advanced hikers can brave Superstition Ridgeline and Quartz Peak. Remember to be sun safe and bring plenty of water. 8. There’s a monsoon season. You may have heard that the heat in Phoenix is a dry heat and that there isn’t much rainfall during most of the year. You might not know that Phoenix experiences a monsoon season every year. High winds, severe downpours, blowing dust and flash flooding are all possibilities during the monsoon season. 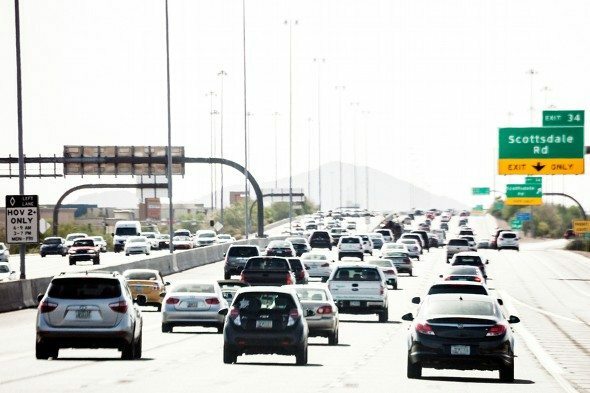 Drive safely and look out for weather warnings during the summer months in Phoenix. Phoenix is anything but homogeneous. The non-Hispanic white population in Phoenix is less than half of the city’s total population. Plus, from Phoenix you can be over the Mexican border in around three hours. 10. You need a car to get around. Phoenix is a driving city. Yes, there are buses and light rail, but Phoenix – and particularly Greater Phoenix – is best navigated in a vehicle. It’s not a dense city. That sprawl may offend some people’s environmental or aesthetic sensibilities, but it helps keep homes in Phoenix affordable. 11. Coffee is serious business in Phoenix. The coffee scene in Phoenix has attracted national notice. It’s big enough to accommodate a range of styles so there should be something to cater to your tastes after you move to Phoenix. But the coffee shops in Phoenix aren’t just satisfying Phoenicians’ taste buds – they’re also helping to revitalize the city’s downtown. The average high temperature in Phoenix in July is over 104 degrees. In January, the coldest month in Phoenix, the average low temperature is a little over 43 degrees. For most of the year heat reigns in Phoenix. It’s not humid, though, so you don’t have to worry about frizzy hair if you’re thinking about moving to Phoenix. 13. The sunsets will impress you – and your Instagram followers. If you’ve never been to the desert, you’re in for a treat. Moving to Phoenix will be one of the best things to happen to your Instagram account. Get ready for beautiful sunsets. Maybe you can even get a cactus into your sunset shot for an added touch of Phoenix realism. 14. You can forget about Daylight Savings Time. Phoenix is on Mountain Standard Time and doesn’t observe Daylight Savings Time. Arizona is Daylight Savings-free, with the exception of the Navajo Nation land in the state. If you hate the spring-forward, fall-back ritual every year, moving to Phoenix will set you free. 15. It’s easy to get your bearings in Phoenix. Phoenix is on a grid, which makes it easy to navigate and find your way soon after moving to Phoenix. Numbered streets run north-south and named streets run east-west. There’s also a Grid Bike Share program that lets you rent a bike if you want to explore Phoenix on two wheels.